Packaging really shouldn’t make any difference to the buyer but for some people it’s the only reason to pick a product off the shelves. 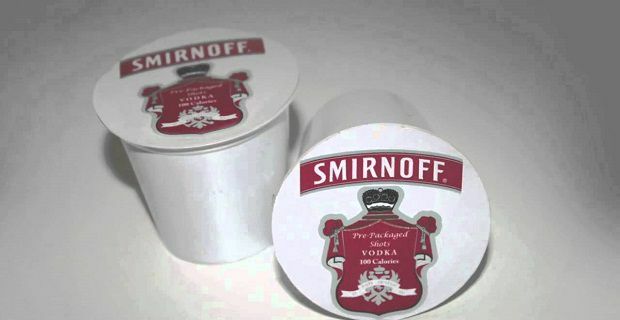 Take the Smirnoff pre-packaged shot shown in our image. What a great idea. It’s the sort of thing that will cost you loads more than it really should considering how little vodka will be in it, but it’s such a novelty. Did you realise you can buy Nike Air shoes in an air bag? The bag is clear and pumped full of air, so you can see the shoes clearly. Some gas or the like must have been pumped in too as the shoes float about the ground. The latest earphones from Note are presented on a cardboard background in the shape of a musical note, with the ear pieces becoming the round part of a musical note and the cords making up the rest of the note. The guys behind Green Berry Tea use the image of an origami bird to sell their product. Their tea bags and the strings hanging from them have been created in such a way that they reproduce the origami bird. We’ve also seen paint brushes which use the bristles as a man’s beard and make a face out of the packaging that surrounds the handle. What about spaghetti strips assembled into a skyscraper? One brand of pasta and spaghetti make sure you know they’re from New York by assembling their spaghetti in this shape.